FEATURE — Back pain is simply awful. There is nothing worse than suffering through a night of tossing and turning and having to face the next day with little or no rest at all. Getting a decent night’s sleep is not only good for your quality of life and happiness, it can also be essential to your health. Nobody understands this better than world-renowned orthopedic surgeon Dr. Craig Greene. He knows the importance of uninterrupted sleep for a person’s overall well-being. After years of treating patients for pain and spinal issues and seeing a huge gap in the marketplace for a quality mattress, he knew something more had to be done. 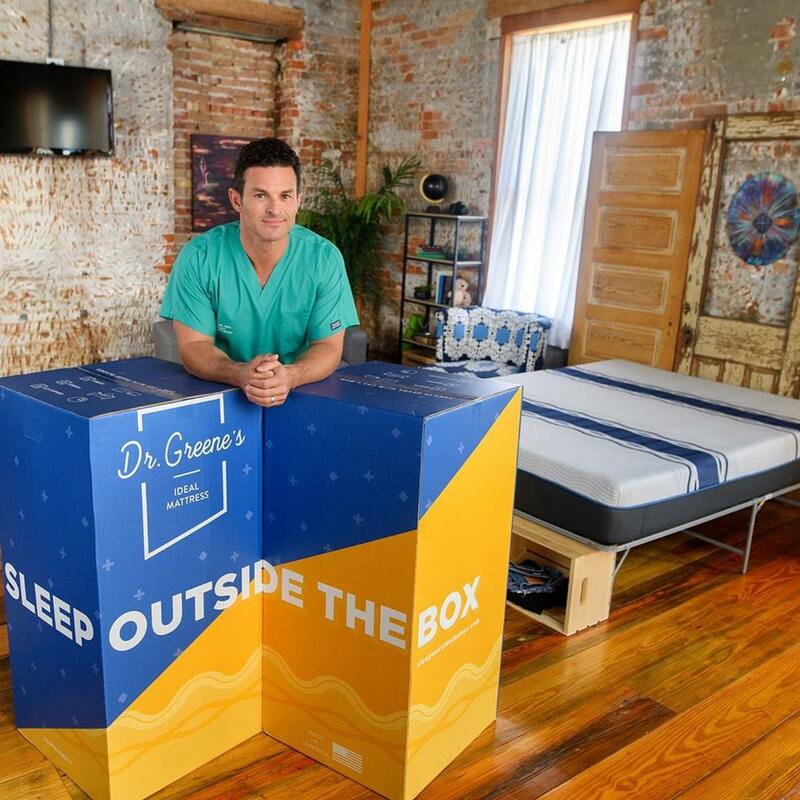 Greene partnered with his college buddy Ty Hingle, a mattress retailer in Southern Louisiana, and the duo have been innovating to make the world sleep better for over a decade. In the place where sleep meets science and comfort meets convenience they developed the “Dr. Greene’s Ideal Mattress” and now have it available for purchase locally at Rocky Mountain Furniture & Mattress Warehouse in Cedar City. Featuring five different zones of comfort and support to distribute body weight evenly, the mattress takes pressure off the hips and shoulders, leaving fewer uncomfortable points that can disturb a person’s rest. Utilizing the same copper conforming technology used by athletes for pain relief, it promotes cooling and rejuvenation, making sure every single minute of your sleep counts. “If you don’t get a good night’s sleep, everything hurts the next day,” Greene told St. George News. Although not all of us are athletes, around 80 percent of Americans are suffering from low back pain and everyone needs a good night’s sleep. Made 100 percent in America with plant-based oils sent through a purification process and covered with wood pulp-based fabric, their design is also better for the environment than the typical mattress made from petroleum. They are committed that your sleep is not only good for you but also good for the Earth. Since we spend nearly a third of our lives in our beds it is important to take plenty of time when making such a big investment and even though their mattress in a box is available online, Hingle said there is no substitute for coming into a store for a test and see how it feels for themselves. He said their partners at Rocky Mountain Furniture have just been fantastic to work with since they first met, loved the product and decided to carry it in their store. “When you have to work with people, you want to work with good people,” he said. Located at 174 W. 200 North, Tony and his team are available to help you find the best mattress Monday-Saturday from 10 a.m. to 6 p.m.
“They’re great people so it helps out a lot,” Hingle said. To find out which options are best for your perfect night’s sleep, visit their showroom or call 435-867-1010. Rocky Mountain Furniture & Mattress Warehouse, 174 W. 200 North, Cedar City | 435-867-1010 | Website | Facebook.